We are one of very few California law firms that are highly specialized in Disability Retirement cases. Our lawyers have filed hundreds of successful disability retirement applications and appeals for SDCERS members and other public employees. We have obtained millions of dollars in disability retirement benefits for our clients. We respect that you have worked very hard to earn your SDCERS benefits – and our attorneys are here to help you. Our lawyers have assisted hundreds of public employees, including: sheriff and police; firefighters; teachers & school employees; administrators; corrections officers & employees; transportation, port & airport workers; sanitation, parks & natural resource employees; and many more. We can help you apply for disability retirement – or successfully appeal wrongful SDCERS disability retirement denials. Call us today. Or fill out the quick form on the right for a FREE CONSULTATION with an experienced SDCERS Disability Retirement attorney. Airport Authority provide disability retirement benefits, for both General and Safety Members of SDCERS. There are actually two separate means by which a SDCERS member can qualify for disability retirement benefits: Work Related Industrial Disability Retirement & NON Work Related Disability Retirement. In both cases, Work Related Disability Retirement &Non Work Related Disability Retirement may be collected prior to full retirement age IF the employee proves that they are unable to work due to a disability. While SDCERS states their mission as: “to deliver accurate and timely benefits to its participants” they still will frequently question or deny Disability Retirement Benefits. This can be devastating to a disabled public employee who has devoted their career to public service – only to be denied their hard-earned retirement benefits. Our experienced SDCERS attorney have assisted hundreds of public employees collect the maximum Disability Retirement Benefits for which they qualify. Call us today or a FREE CONSULTATION. We can help you collect the maximum SDCERS disability retirement benefits that you deserve. Is unable to perform their usual job duties. Note, however, that the cause of the permanent disability must not be the result of willful misconduct or a violation of the law. 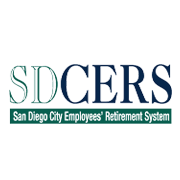 SDCERS Industrial Disability Retirement benefits are available regardless of the amount of service credit the employee has – if they become permanently disabled due to an injury or illness caused by their job. There is no age limit, and no minimum years of service required to collect SDCERS Industrial Disability Retirement for a work-related disability. However, members hired after September 3, 1982 are not eligible for an industrial disability that was the result of a pre-existing medical condition or a nervous or mental disorder. If are a public employee who needs to apply for – or fight a denial of – SDCERS Disability Retirement Benefits, call our experienced attorneys for a FREE CONSULTATION. The Retirement Disability Attorneys at the Law Office of Cantrell Green offer FREE CONSULTATIONS to SDCERS members and all public employees in the Los Angeles area, Orange County, San Diego County, Ventura County and anywhere in California, including: Anaheim, Long Beach, Carson, Bellflower, Compton, Downey, Fullerton, Garden Grove, Hawthorne, Huntington Beach, Irvine, La Habra, La Manhattan Beach, Mirada, Lakewood, Lomita, Oxnard, San Pedro, San Bernadino, Santa Ana, Santa Monica, Santa Barbara, Thousand Oaks, Torrance, Wilmington, Whittier & Yorba Linda.